Sri Sadguru Swamigal was a great Mahatma, and one who is counted in the Trinity of Nama Sankirtanam along with Sri Bhagavan Nama Bodhendral and Sri Sridhara Ayyaval. Take this quiz to learn more about the great saint. 1. 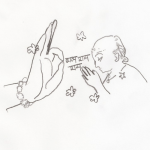 What was the first word that was uttered by Sadguru Swamigal? 2. At what age did Sadguru Swamigal start to speak? 3. What was the birth name of Sri Sadguru Swamigal? 4. In which village did Sri Sadguru Swamigal settle down to propagate the path of Nama Sankeertan? 5. 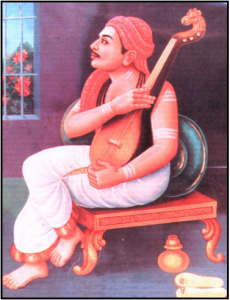 For what did Sri Sadguru Swamigal formulate a format? 7. Who was the disciple of Sri Sadguru Swamigal?